Father, I have stayed the course, I have fought a good fight, please receive me in your care. 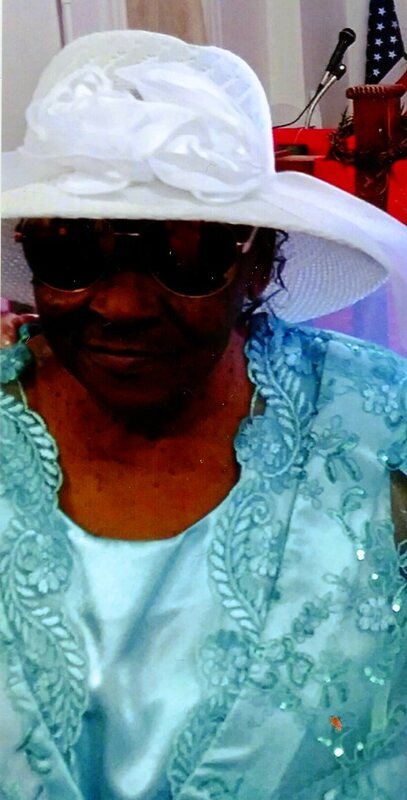 Thelma Geraldine Whitted mothers, grandmother, great grandmother, sister, aunt, cousin, and a true friend departed her life on this earth September 13, 2018. Born the sixth child of 13 children to Robert and Oberry Moore on October 1, 1936. She was a vibrant, but sometimes rebellious child loved her family and the Lord. Her mother nurtured and instill in her power of God and the faith of knowing with him all things are possible and to always give him the glory. With that teaching she excelled in education, different work forces led her to her true calling healthcare in which it became her love and desire until her health issues caused her to retire. She is preceded in death by brothers David, Robert, Joseph, Wilson, Coley, and Billy, sisters Maggie, and Mary, sons Robert Fitzgerald and David. Visitation 11:00am and Funeral 12:00pm Tuesday, September 18, 2018 at Hebrew Missionary Baptist Church, 1338 Gault St.
We can’t begin to imagine what you are feeling, but please let us share our heartfelt condolences. Continue to rely on on God and know that he hears your prayers, because he cares for you. With caring thoughts. So sorry for your lost.We are praying for you and the family. We are so sorry for your loss. We are here for you if you need anything. Our prayers are with you. Sorry we just found out. We loved her so much. She was a wonderful woman of God. She will be missed. Our prayers are with you.